Pressure Transmitters: We can help! 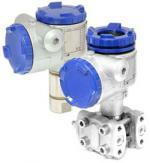 Every process is different and when it comes to Pressure Transmitters one size does not fit all. At Coulton, we understand this and we aim to provide a reliable range of Pressure Transmitters with full support in the UK. If you are unsure about the product you need or just want to have a chat with fully qualified engineers than Coulton Instrumentation can help. We only sell products from trial and tested, reliable manufacturers. Registered in 1985, with thousands of customers worldwide - you can count on us.